Set against the backdrop of the Sierra Nevada and the Tehachapi Mountains, the residents of Tehachapi bask in clear air, abundant, clean water, and a quality of life which strikes an ideal balance with nature. Look around and you'll see a careful blend of new, early California, and western architecture. Close your eyes, and you'll hear the whistle of an approaching train reminiscent of the late 1800's Southern Pacific Railroad Company completed the track from Caliente to the Tehachapi Valley in 1876 - construction that would soon link Northern and Southern California. July 10, 1876 is the birthday of the Town of Tehachapi. 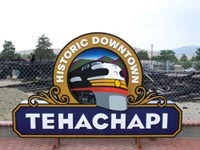 On August 13, 1909, the Town of Tehachapi was Incorporated. Today, a charming, small town atmosphere still prevails in Tehachapi. An average of 45 trains pass by each day. Fifteen "helper engines" assist in the task of pushing the trains over the steep mountain grade. Shade trees line the streets where residents are within walking distance of restaurants, schools, churches, library, museum, hospital, theater and stores. Surrounded by natural beauty, "art in public places and music in the mountains", it's no wonder people from all walks of life have chosen to make Tehachapi their home. 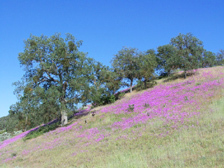 Tehachapi is known for its four-season climate. The wet season is generally November through May, although thunderstorms are likely during the summer. Average temperatures range from 88 °F (30.6 °C)/58 °F (13.9 °C) in July to 52 °F (10.6 °C)/29 °F (-1.1 °C) in January. The area typically collects 15-20 inches of snow each winter. There are an average of 31.1 days with highs of 91 °F (32 °C) or higher and an average of 94.8 days with lows of 31 °F (0 °C) or lower annually. Annual precipitation averages 11.08 inches and there is measurable precipitation on average of 42 days annually.